BMW is intensifying its global search for engineers, especially in markets such as the United States, China and India, and in the field of electric vehicles. BMW personnel chief Harald Krueger talked with Automobilwoche Reporter Pix Krix about the company's search for engineers and electronics experts, and about a quota for female employees. How is BMW responding to the growing shortage of engineers? Demographic change is leading to a decline in the number of engineers, and it will affect every company. 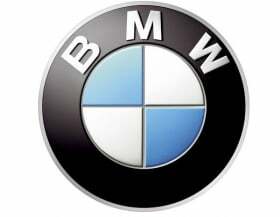 As an attractive employer, BMW has the best opportunities of finding good, young talent. In the future, this will increasingly take place in the international labor market. This year, we want to hire about 550 college graduates globally, about 400 of them in Germany. Parallel to this, we are investing in the continuing education of our core employees. We are currently setting up appropriate programs in cooperation with universities. For example, a technician or a master craftsman will be able earn a bachelor's degree in the future. The communication of specific theoretical knowledge is likewise conceivable. In what countries do you intend to look for experts in the future? In all the growth regions. We are building a new factory in China. We need more staff there. We are looking for engineers with a technological or a financial focus who can support Chinese suppliers on site. We need new people in purchasing or sales as well. We also need more employees in the U.S., where we are expanding our facility. In the future, engineers could increasingly come from India. Will you also acquire trained staff from abroad for German facilities? In all likelihood, we will tend to see that in the longer term, in the next two or three years, in individual cases. Another possibility would be to acquire people from other countries who have studied at a German university and want to come back. BMW is increasingly betting on electric drive and carbon fiber manufacturing. What effect does that have on your search? Lightweight construction has long been an issue at BMW. We basically have the experts and the know-how. We are going to need still more specialists when this business segment expands with the Megacity Vehicle. Even today, we need more technical staff in areas such as new materials, lightweight construction, simulation technology, electrical systems, electronics, batteries and powertrain technology. Will the trend toward electric cars change the composition of your work force? We have new core operational areas, so the requirements for our engineers will change. But I believe that the conventional internal combustion engine will account for the largest share in 2020 as well, since it still has great potential for improvements in efficiency. But these internal combustion engines will increasing be sold as hybrids, in combination with electric motors. There will be continual development of our structure of knowledge without a revolutionary rupture. Why doesn't BMW have a quota for women employees like other German companies such as Deutsche Telekom? We need promotions for women and more women in leadership positions. But I don't think much of quotas. My approach is to place the right person in the right position, independent of age, nationality and gender. What percentage of BMW employees are women? The percentage of women in the total workforce is 13 percent. The number of women in management positions has risen 40 percent in the past six years to 8 percent.